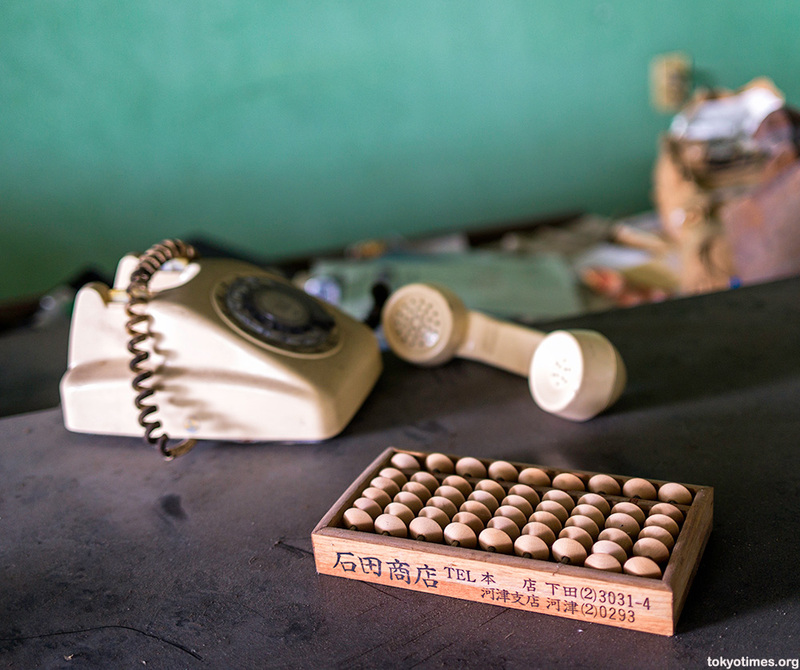 Abandoned hotels are undoubtedly the most common form of haikyo in Japan; structures that starkly expose the folly of the country’s bubble era, or perhaps more commonly the gradual decline of once popular tourist destinations. 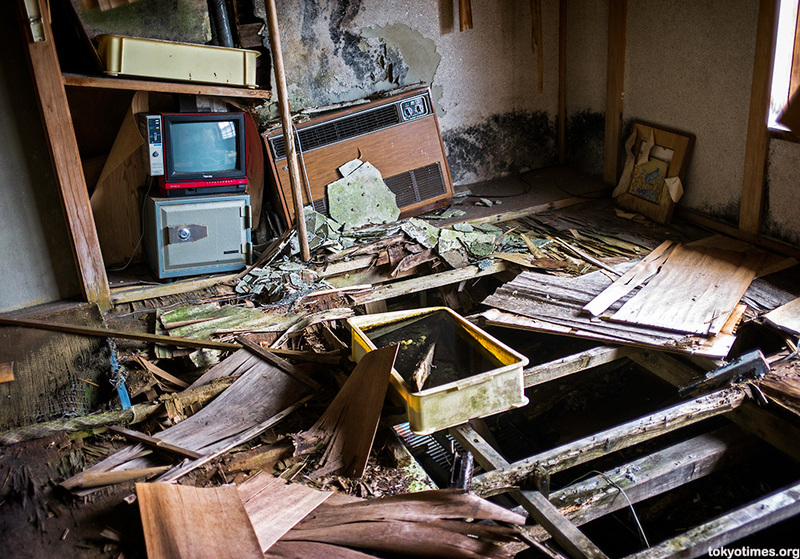 And the Fujiya Hotel in Shimoda is no different, situated as it is in a city that has undoubtedly seen better days. Shimoda’s biggest claim to fame is that Commodore Perry and his fleet of ‘black ships’ arrived there in 1854, resulting in the opening of the first American Consulate in Japan. 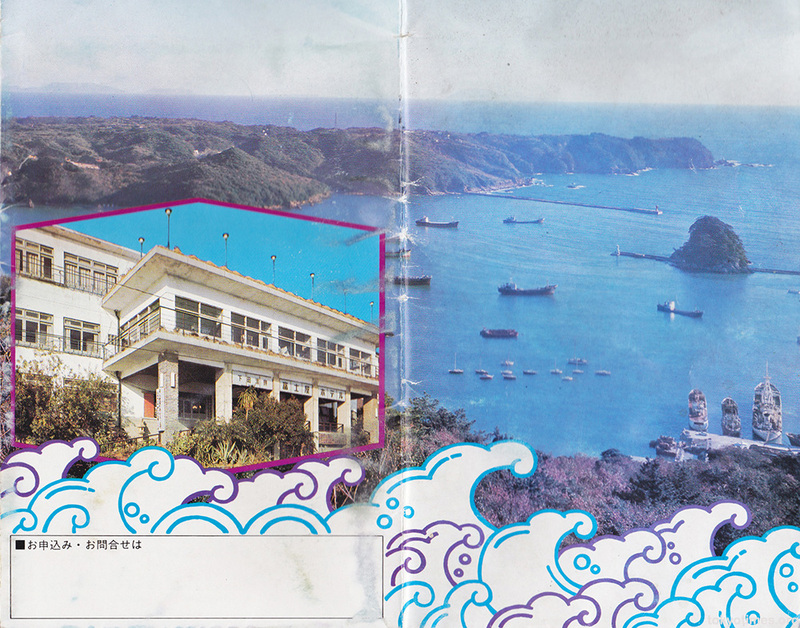 Plus far more significantly, the port (and eventually the whole of Japan) was opened to foreign trade. But within 5 years this pivotal role had been handed to Yokohama. The consulate was relocated. And the city’s decline arguably began. To be fair though, it’s not all doom and gloom — far from it in fact. Shimoda has some genuinely lovely beaches. Not to mention a wonderfully craggy coastline. Making it a popular spot in the summer, particularly so with surfers and the like. A situation that is ideal for small guesthouses and rental homes, but not necessarily big hotels. Meaning that despite a myriad of guests during the region’s more clement months. The phone presumably didn’t ring much at all during the far longer off-season. A sorry state of affairs that, like previously mentioned, has been a common occurrence all over the country. 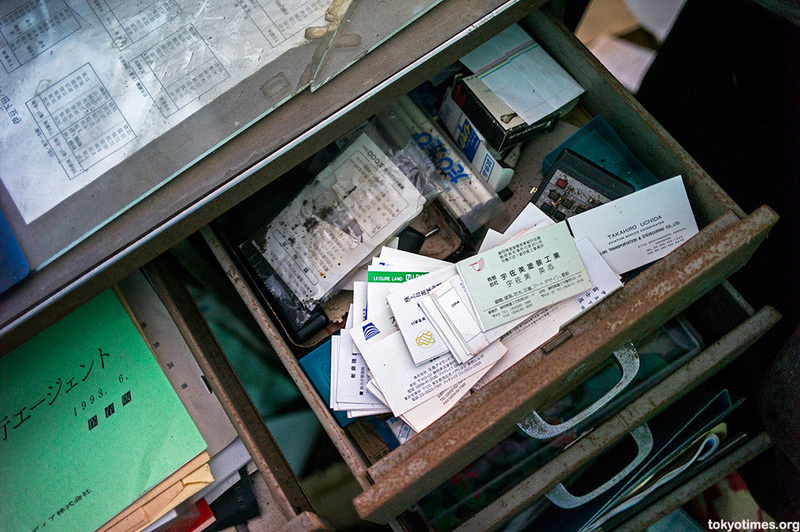 And just like many of the others, the Fujiya contains some interesting things that got left behind. 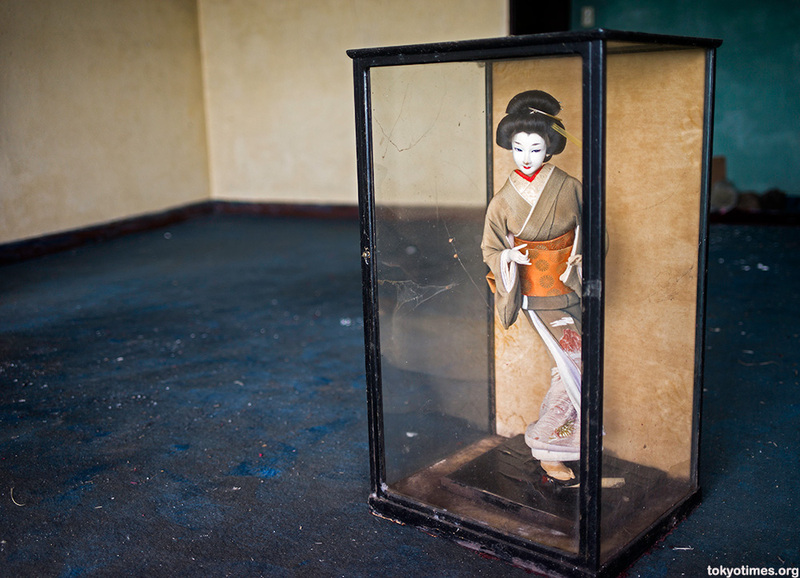 Plus a rather forlorn-looking photo of an unnamed woman, although it could be Okichi, a former geisha from the city whose story is far sadder than the decline of a mere hotel. And just like other such places, the Fujiya has room after identical room, which can get rather tedious. 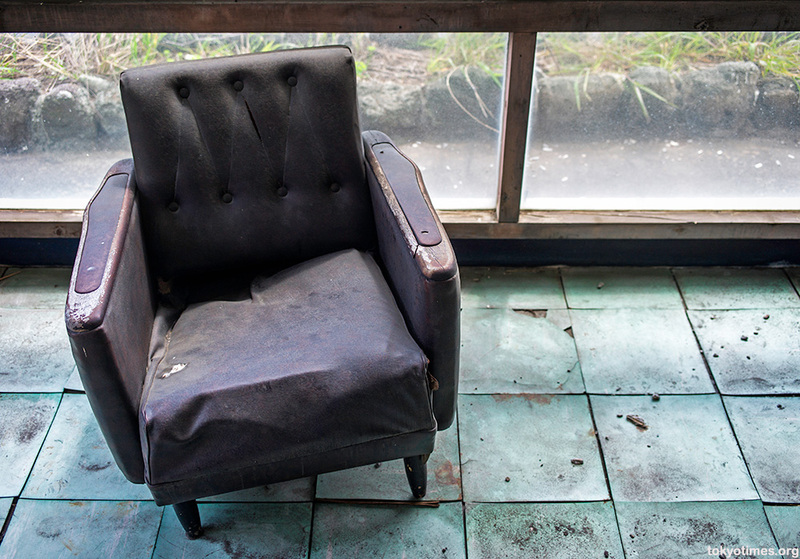 The hope for something interesting behind the next door almost always dashed by yet another semi-furnished interior just like the last. This time, however, there were at least a few surprises. 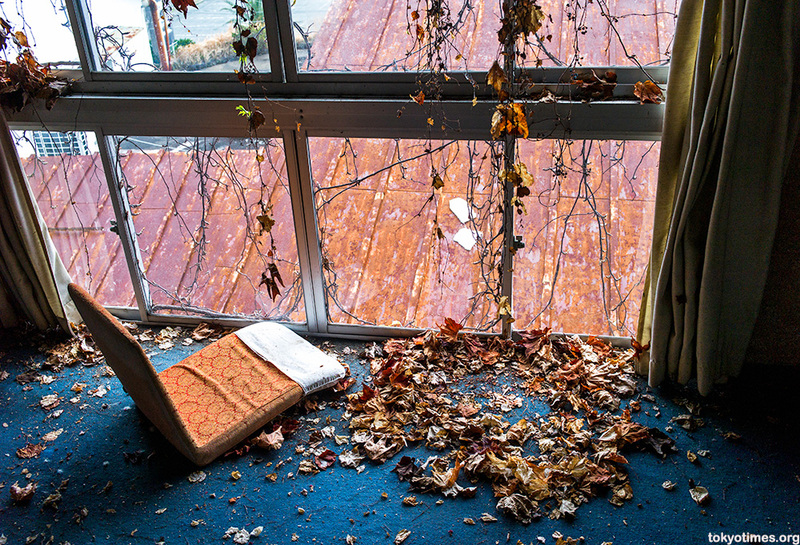 Some rooms are in a truly shocking state. Although far more interesting is that nature has started to take back a few of the others. Something that is also repeated in the hotel’s bathing area — a presumably popular feature due to the area’s natural hot springs. As such it’s probably fair to assume that most guests would have gone down these stairs in anticipation of a soothing, restorative soak. An element that the brochure was understandably keen to emphasise. But that was then, and this is now. And just like the rooms, nature has begun to make considerable inroads, giving the baths a very different look indeed. As well as endowing the building with real character. Ironically far more than it probably had when open. Nice! Anything in that safe under the tv? But there is all that fabulous jewelry on the side of the cigarette vending machine! Haha, there is indeed. Could be worth a small fortune! Cheers. It was a lot better than I imagined, especially so as it was just a chance find. A very nice surprise. Another treat! We should all band together and move into one of these places.. and turn it into a dude ranch! The dreams flow way to freely! Haha, but with no running water or functioning toilets, other things would flow freely too! Oh wow! I bet this place was really something back in it’s day. When taken with some of your other posts what struck me most, I think, had to be the vending machine. It looks downright archaic compared to the new ones. Even more than the tv which, by comparison, hasn’t really changed *that* much. Yeah, they have definitely changed quite a bit. I was really surprised by the jewellery dispenser too. Never seen one quite like that before. Oh! I didn’t even realize that’s what that was. Thought it was a part of the cigarette machine. That is definitely jewelry and not gears, though, huh? Fascinating! It is. The best jewellery small coins can buy! Excellent photos as always from you Lee! You have such a great eye for your shots. Thanks a lot, Tyler. Fortunately this place was quite generous in providing interesting elements to frame. 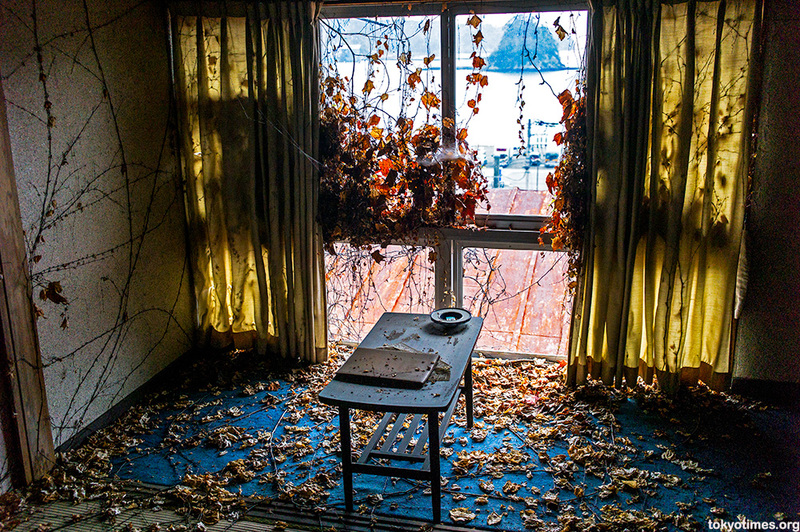 Love the shot of the room with curtains and nature taking over. It seems to suit the room. Wonderful shots. Yeah, those kind of scenes are a big part of what haikyo is about for me. Don’t see them that often, but it’s always great when you do. Beautiful and slightly eerie at the same time. 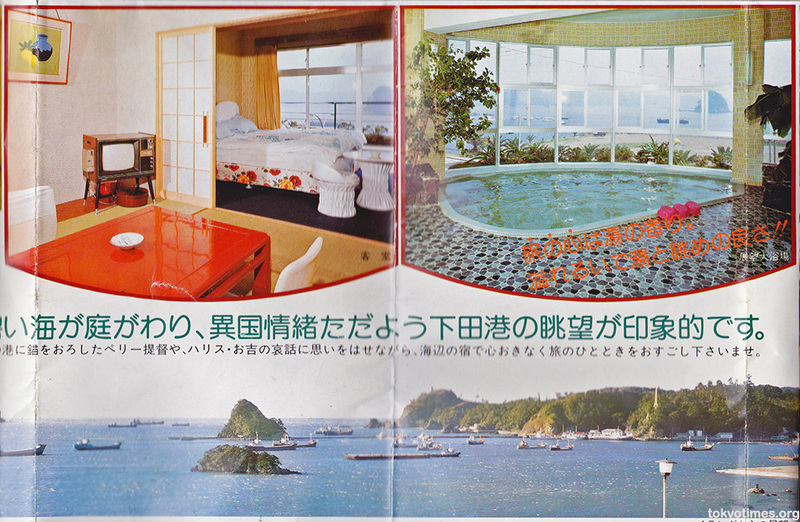 That large bath shot, the window reveals a completely different vista compared to the advert; wonder if that was always the case… hard to imagine it not being, given the current shoreline view. 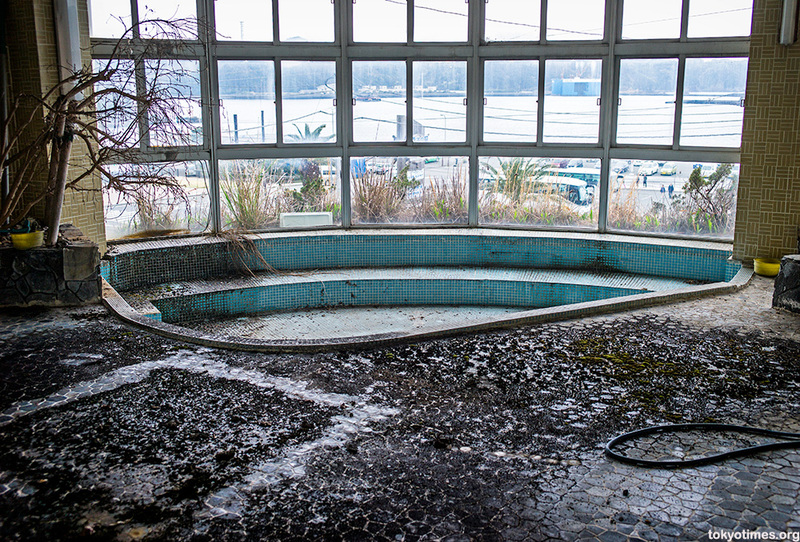 The shot of the large, empty bath – it appears as if something has been recently removed from there. Notice the outline in the lower left that is free of debris? Almost as if there were upended benches there or something. I only really noticed that once I uploaded the photos, but yeah, it looks like something was definitely there. What though I don’t know, as I don’t recall seeing anything else in the room, apart from shower heads and the odd soap bottle. Really interesting set of photos again! 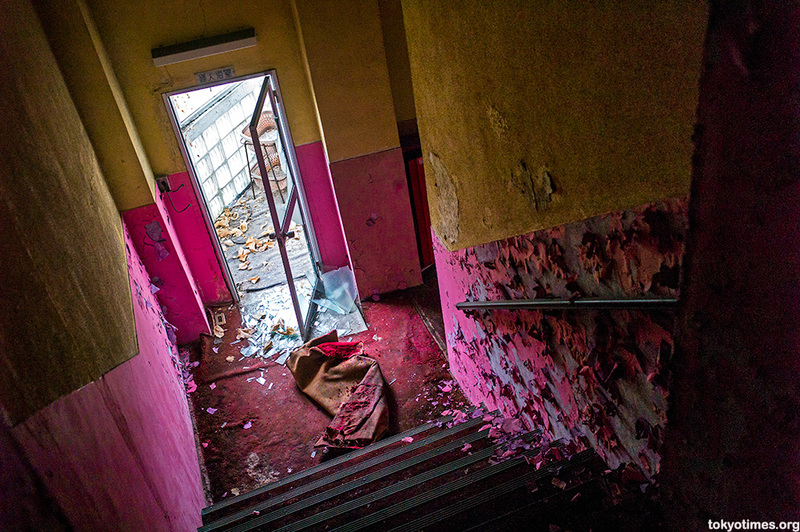 The dilapidated rooms seemed to be collapse sooner or later! Such a huge hole!! 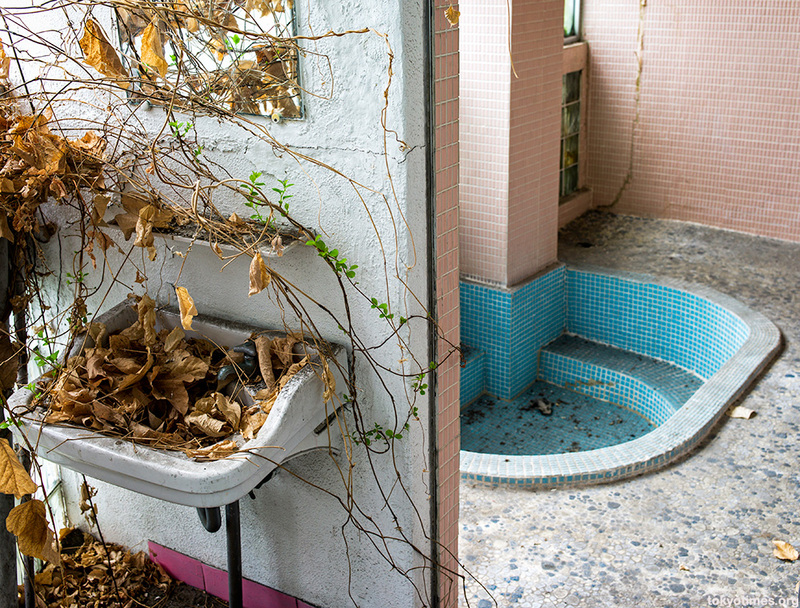 The bathing area looked creepy! I feel a shiver down my spine…. It was weird. Some parts of the hotel were in pretty good shape. At least structurally, anyway. But yet others were in a truly terrible state. Nearly fell down a hole in another part of the hotel actually, which could have been very nasty. A lucky escape. No doubt about it. Great selection as always Lee – a couple of external shots would have been nice though. That was my intention. Took a couple too. But it’s on a busy road, which made getting a decent shot very difficult. Wasn’t happy at all with the ones I got, so the brochure had to suffice. 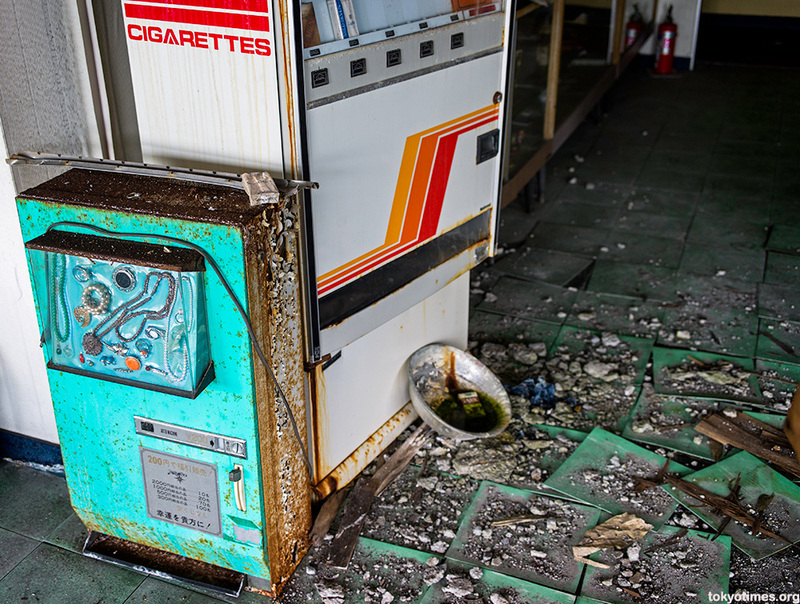 I’ll be in Tokyo next month and would love to check out some abandoned places as I’m from Singapore and have exhausted the list of such places in my tiny island. I understand most of them are outside of Tokyo, but are there any places that are generally nearby and don’t require too much inter-city travel? Unfortunately not Im afraid. Or at least not as I know of. Pretty much all of them require a car to get to as well. I hope this doesn’t sound too rude, I’m sure there is an unspoken rule about this sort of thing – But do you ever feel compelled to take anything from these scenes? Some small trinket or item? Even if it’s just a key? Most of my memories are tactile, and I tend to associate a lot of things that I can remember with items – even if I’ve taken photos. In the end I might leave with a pebble or something but worry it was haunted~! Not at all, it’s a fair question. Personally I don’t take anything like keys, cups etc, as if everybody did that there’d be nothing left. 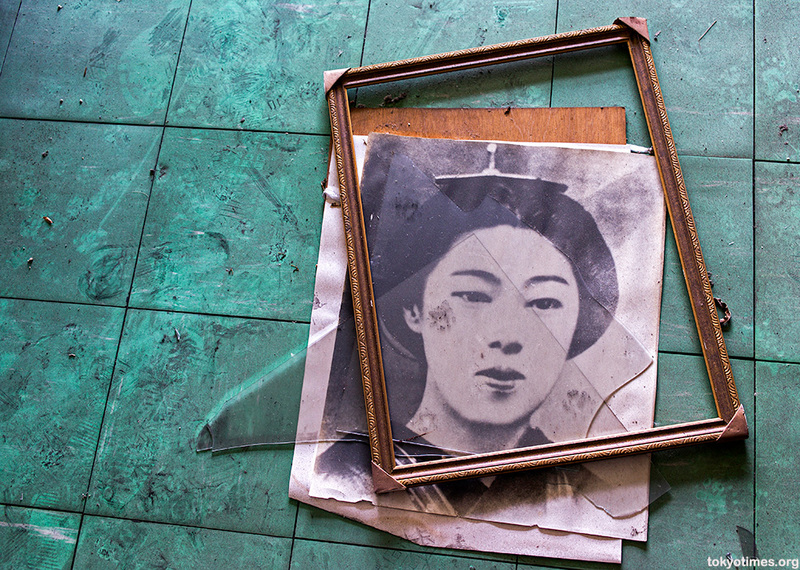 Photographs (and the memories they help preserve) are enough. But that said, I do sometimes take pamphlets like the ones scanned in this post. They allow me to show the ‘then and now’ images, plus there are generally loads of them lying about, so taking one doesn’t make any difference.